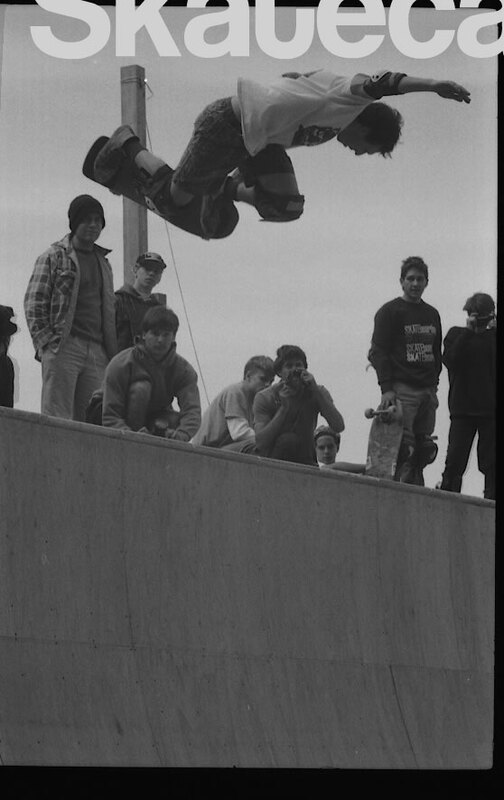 This photo was taken during a contest at The Farm Ramp circa 1988 by Jay Cabler. Jay Cabler has allowed us to add his pics to the archive and we couldnt be happier here at The House of Steam. 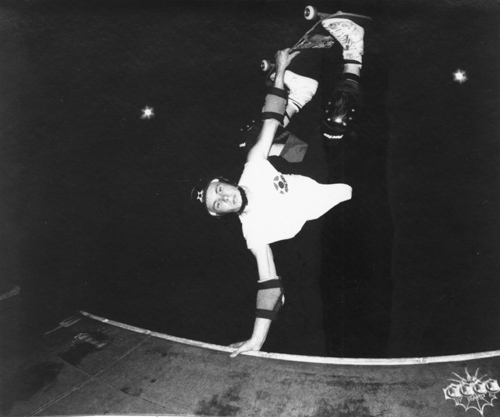 Checkout SkateCab.com for some amazing pictures dating back to the seventies and also checkout Jay Cablers youtube series The Colonel Bachuss Skateboard Show. As for this picture of Jay Henry all i can say is you know its him because there is hair were a helmet should be!!! This entry was posted in 1988, 2. SKATE SPOTS:, Farm Ramp, Jay Henry, Photos by Jay Cabler, SKATE PARKS:, SKATE VIDEOS, SPOTS:, TEAM STEAM and tagged ART, backyard ramps, boards, east coast, Farm Ramp, jason, Jason oliva, jasonoliva, Jay Henry, nc, New Jersey, New York City, oliva, paintings, photography, pool Skating, raleigh, ramp, ride, sk8, sk8t, skate, skate decks, skate history, skate photography, Skate ramps, skate trucks, skate wheels, skateboarding, skateboarding history, skateboarding photography, skateboards, skatepark, skater, SKATERS, steam, Street Skating, TEAM STEAM, The Barn, The House of Steam, thos, vert, vert ramps, Vert Skating on March 28, 2007 by jasonoliva.